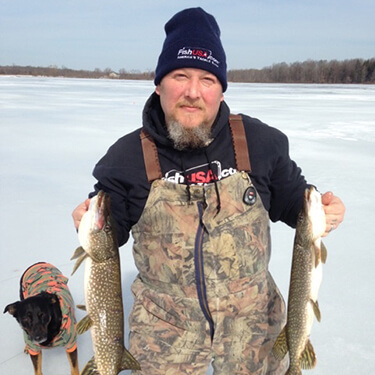 So you've found yourself “hooked” on ice fishing. Good for you! If you are well prepared and vigilant to conditions, ice fishing is a great family activity and a fun way to put fresh fish on the table. Whether sitting on a bucket exposed to the elements, or inside a homemade hut, manufactured flip-over, or ultra-portable pop-up hub, your tackle and gear options are great and varied. Like open water trolling, ice fishing demands the use of specialized equipment due to the harshness of the environment and behavior of the target fish. Safe ice and safety gear aside, nothing is more important to the modern ice angler than knowing if there are fish below your setup. Unless you fish crystal clear, typically shallow waters, you just don't know what is under the ice without the use of electronics, specifically sonar and underwater cameras. When the itch to get serious about ice fishing add-ons takes over your financial thoughts, the argument turns to what technology is better? $300 - $600 is not a typical impulse purchase, so it's important to make the smartest purchase possible. You can always save for the option you don't choose, as long as you fill your most important needs first. Typically the big names in the game offer the best equipment in both performance and durability. The question remains the same. Camera or sonar? FishUSA is here to help you come up with an answer. 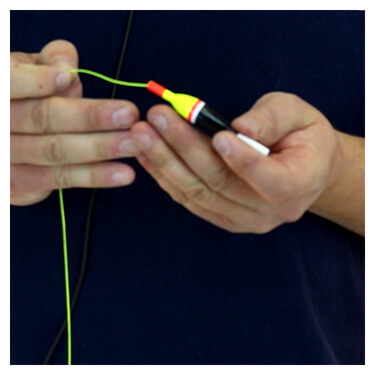 The use of sonar in fishing has been around for generations. 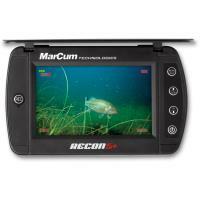 Ice-specific sonar units are packed with features and ever-improving technology. 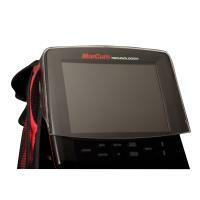 From the original Lowrance, pioneering Vexilar, user friendly Humminbird, or the upstart power-packed MarCum models, the current offerings of ice fishing sonar significantly improve one's catching opportunities. The information you can get from various sonar units includes depth, structure, bottom composition, temperature, the presence of baitfish, and most importantly if there are fish there at all, and at what depths. 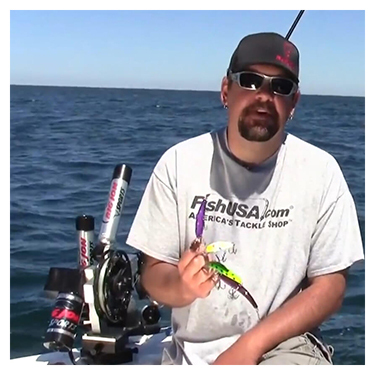 With the flip of a switch and adjustments of the settings, you can see the size of individual fish, size of the schools, and how they react to your baits and lures. The days of searching for and guessing the depth of schooling crappie are gone. Deep-water bluegills? Gotcha! Finding fish doesn't guarantee catching them, but it sure increases your chances. Drill holes, drop the transducer and get a reading on what's below. Simple? It can be. When you go on the ice armed with high-tech sonar, fishing over empty water is a thing of the past. Once you do find the fish, you can watch the way they react to your jigging actions. You can set tip ups at exact depths, and monitor what's happening to the bait. In the dirtiest of waters, you can still “see” your bait and the fish you're targeting. Fishing shallow waters that are clear enough to sight-fish but want a better view? Working heavy cover where snags claim valuable jigs and lures? You know there are fish, but can't get them to bite? Not all scenarios are best attacked using sonar. Drop an underwater camera down a nearby hole and see with your own eyes what's really there and what's happening. Sonar gives you information to interpret while cameras used in ideal conditions give you details and answers to that inevitable question “what kind of fish are down there?” The marks on the sonar don't tell you if you're over perch, walleye, or gizzard shad. With a quality underwater camera, you not only can tell if you're on a school of perch, but also the size of those perch. Jigging minnows over a school of dinks leads to a lot of lost time and bait, with very few fish on the ice. There's nothing quite like pounding the bottom of a lake, attracting attention from perch near and far. The ability to avoid the little guys and set the hook on the jumbos of the school is something sonar just doesn't let you do. Wondering why the bite just “turned off” can be answered with a swing of the camera. 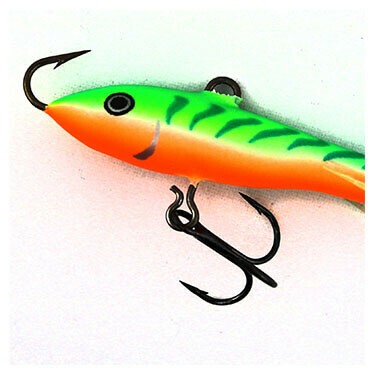 When pike move in, panfish scatter. Your camera gives you answers. In some bodies of water, cameras can out-fish sonar pound for pound. 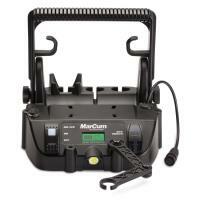 The units from Vexilar, MarCum, and Aqua-Vu have UV lights allowing you to use your camera in low-light conditions. Add a digital recording device and you can capture all the action to share your experiences. Still not sure which technology is right for you? Consider your target fish, the clarity of the water, depths involved, and time of day you'll do most of your fishing. Underwater cameras are useless in dirty or stained water. Their lights can extend your hours of visibility, but are mostly inadequate at night. Sonar gives information that must be interpreted, but is reliable in nearly all water conditions, day or night. Sonar signals cause and get interference from other nearby sonar units, whereas most cameras rely on cords and direct connections. Most people choose sonar over cameras due to the limitations of the latter, but the decision is as personalized as your solutions for shelters, rods & reels, and tackle. What works for one person may not solve your greatest needs. Shop smart. Shop early. Shop FishUSA. Tim Tomlin has over 40 years of experience fishing the waters of Northwest Pennsylvania.